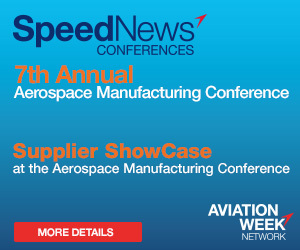 SpeedNews' 7th Annual Aerospace Manufacturing Conference will be held on May 7-8, 2019 at the Proximity Hotel in Greensboro, NC. Registration for this Conference includes all planned briefings, panel discussions, and presentations over the two days, breakfast, lunch, and a cocktail reception; breakfast, lunch, the exclusive VIP Manufacturing Site Visits (separate registration required), and additional activities to be announced. A room is not included in the registration fee. You may make room reservations at $199 (King) or $209 (Double Queen) per night. These rates are based on availability and cannot be guaranteed. Please contact the Proximity Hotel directly at +1-336-478-9105. Be sure to ask for the special SpeedNews Conference rate. Complimentary transportation to and from Piedmont Triad International Airport (GSO) is available between the hours of 6:30 am and 11:00 pm for guests of Proximity Hotel. Please notify the hotel when making room reservations.